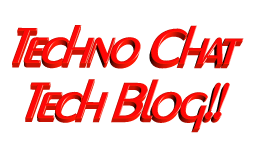 Importing a VM into Amazon EC2 | Techno Chat|Tech Blog!! In this topic we will describes the necessary steps to migrate a VMWare VM to the Amazon Web Services (AWS) using PowerShell. You could also migrate VM using AWS command line tools, but I found using PowerShell is much easier than command line tools. There are few things need to be fix before you start migrating VM to AWS. Remove all snapshots from snapshot manager. Partition must be IDE  All the partition must be IDE, if anyone of them is SCSI, you have to convert it to IDE. You must enable Remote Desktop and also make sure it is not getting blocked by firewall. Reset local administrator password. It is always recommended to create one additional local admin user account. Posted in Admin Tools, AWS, Windows. Tagged Add-EC2Volume, Cloud Migration and Portability, import vmware to aws, Import-EC2Volume, Importing a VM into Amazon EC2, MIGRATING A VMWARE VM TO AWS, VM Import/Export - Amazon Web Services.